No one tells you how you should write your reviews. They shouldn’t. It should be in your voice and be in your words. It should be what you thought of a book. For this review, I started it probably (I’m not sure, check my Goodreads) a month ago in my lounge. It’s a Sunday morning and I started this before writing my book. I am reading most mornings, Monday to Friday. Occasionally, I’ll read on Saturday or Sunday when I’m not distracted by my writing or hanging with my girlfriend. For this book, I believe I read it in a week. I’d read the previous two books in the prequel series and the entire Mortal Instruments series. So, it’s not just a one off. I’m not going to spoil this book for anyone. My reviews will tell a story. How I felt. What I was doing. Where I was. 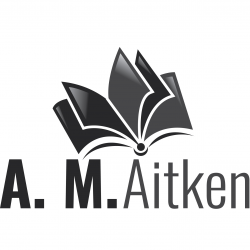 I will give each book a rating from five. Unfortunately, due to the limited programming of the plugin I’m using, you can only see whole numbers. I’ll round to the nearest number. 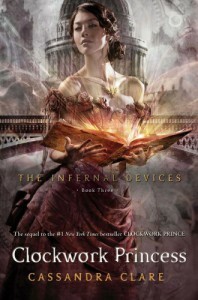 As for the book, Clockwork Princess, it links the Infernal Devices to the Mortal Instruments series. We learn from the characters, Jem and Tessa, that they are in fact characters in the Mortal Instruments. I already guessed this from the first book in this prequel as I recognised the name Tessa instantly and guessed who Jem was. Cassandra Clare must’ve done a lot of planning to create this series. I’m not going to point out the holes I saw. Many other people have already done that. What I will say is that, emotionally, this series closes the loose ends nicely and can make you feel all warm and fuzzy on the inside. This is what an author and a reader want. Closure. It does feel like some of the characters, such as Mortmain, were tacked on to this series. It feels as though they weren’t thought of in the Mortal Instruments (which is probably true) because there are no mentions of this history (and there would be) in the Mortal Instruments series. That’s one of the reasons why this book is rated lower. I suppose, I should add that I’m not a teenage girl. I just found the love triangle repetitive from the Mortal Instruments. The fact that I felt like most of this book was about settling who gets who also lowered the rating. I like the world Cassandra Clare created, but not the characters. In summary, it’s a good book. That’s why it gets three stars. I would recommend this series to those who liked the Mortal Instruments series. It follows a similar pattern with (kind of) similar characters and circumstances.